Members of Mentor Mastery Program on a Private Tour – Mentor Mastery members on a private tour of The Breakers in Newport, RI. Silicon Valley Young Professionals Executive Lounge – Mayors’ Panel – Linda Popky moderated the panel of four local mayors. Tips to Promote Your Services – Linda has 10 Tips for Promoting your Services, which Ed Poll shares with you in this video. 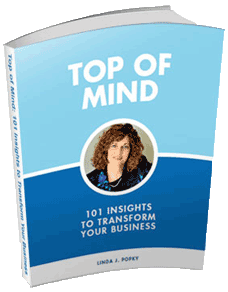 Linda Popky’s book, Promoting Your Non-Profit is featured as Dan Janal’s “Cool Book of the Day”. 8th Annual Women in Consulting (WIC) Compensation Survey Reveals Consultants Evolve Business Strategy to Meet Economic Downturn – “Consultants are nimble, and this survey validates that,” said WIC President Linda Popky. Doing business the “old way” must change or… – Linda is quoted in this blog entry. How Business Needs to Prepare to Exploit the Economic Recovery – The Society for Advancement of Consulting® (SAC®) asked its global membership to evaluate the current ideas to maximize the exploitation of the economic recovery when it inevitably arrives. Linda Popky is quoted. 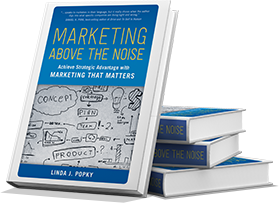 Marketing in a Recession: Shattering the Myths About What Works and What Doesn’t – Pam Harper interviews Linda Popky. Two Woodsiders named among ‘top 100 women’ – Linda Popky, president of Leverage2Market Associations, was recognized for her service as president of Women in Consulting, a group of more than 400 consultants and small business owners in the Bay Area. Seven Inducted into Million Dollar Consulting® Hall of Fame – Linda Popky is inducted into the Million Dollar Consulting® Hall of Fame. 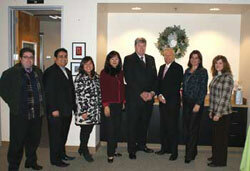 Women in Consulting Names 2009 Board of Directors – Linda J. Popky continues for a second year as president. Aerulean® Announces the Addition of Advisors to Team – Linda Popky is one of two key advisors who have been added to Aerulean’s team.